The hand-knitting cashmere yarn industry provides Afghan women a fair wage that helps them support their families and provides peaceful alternatives to an opium economy. From the Mountain yarn comes in beautiful natural, undyed colors with a hand you have to feel to believe. 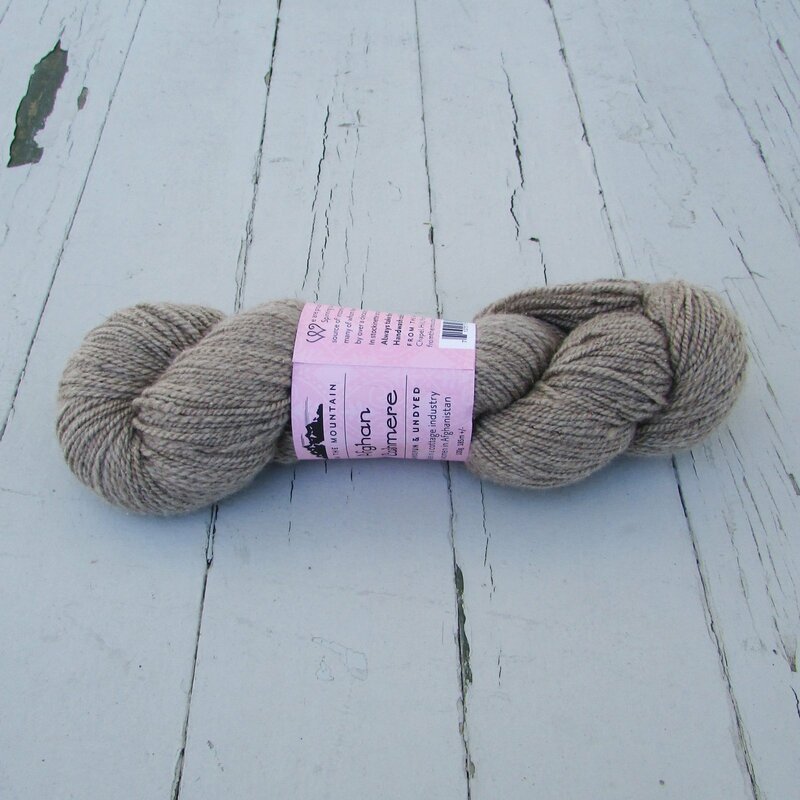 From the Mountain yarn is available in natural white, gray, light brown, and dark brown. These are undyed colors, echoing the goat herds of Afghanistan which have not yet been bred to white.